Role models inspire. They encourage. They remind us that “difficult” doesn’t mean “impossible,” that we’re all capable of more than we give ourselves credit for. 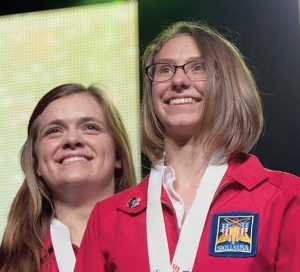 Rachel Arnold and Olivia Klotz became role models for each other after joining forces to claim the gold in the Robotics: Urban Search and Rescue competition at the 2016 SkillsUSA Championships. Female forerunners in a traditionally male-dominated field, they’ve become role models to anyone else who’s been unfairly discouraged from chasing a passion. Both seniors at Blackstone Valley Regional Vocational Technical High School in Upton, Mass., Arnold (left in photo) and Klotz (right) are doing their part to negate that surprise for hopeful female engineers of the future. Arnold won a state bronze medal in Robotics: Urban Search and Rescue one year but found herself in search of a new partner the next. A perceptive instructor suggested Klotz. They managed bronze at their district competition but were allowed to advance to states when another district could not produce enough teams to compete. The duo set out to prove they were worthy of this second chance, dedicating themselves to constant improvement. 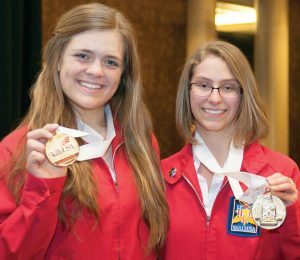 A state gold medal rewarded that dedication, and the gold at the SkillsUSA Championships two months later removed all doubt: Klotz and Arnold were the best in the nation. 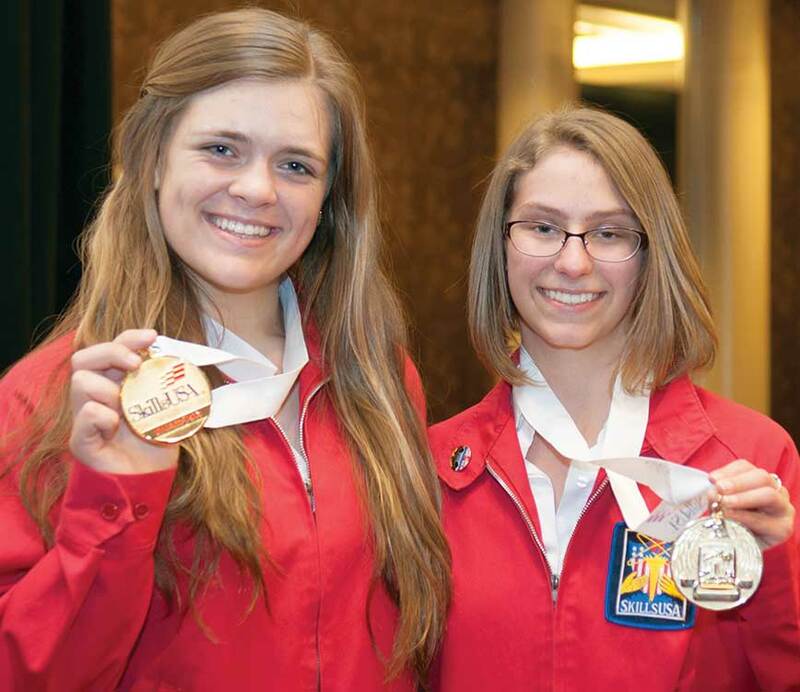 “Being a part of SkillsUSA taught me the importance of teamwork and perseverance, as well as dedication and leadership,” Arnold points out. As for her teammate, her message to anyone facing discrimination of any kind — male or female — is simple.